National Pizza Day is coming! 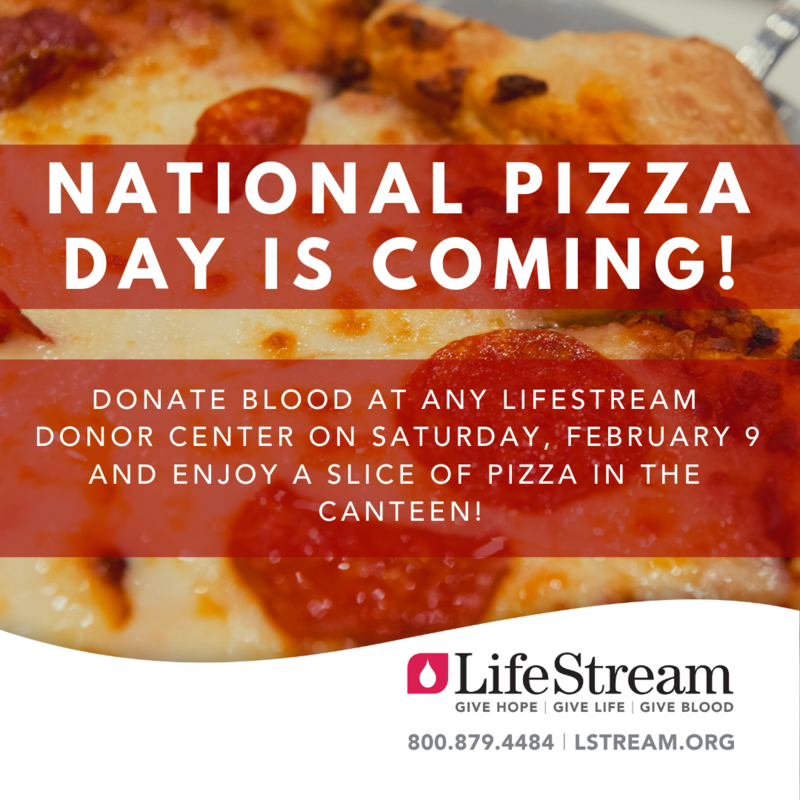 Donate blood at any LifeStream Donor Center on Saturday, Feb 9 – National Pizza Day – and enjoy free pizza! Don’t forget to mention code LAKERS at registration for your chance to win 2 tickets to the Lakers vs New Orleans Pelicans game on 2/27. BONUS: All donors will automatically be entered into a sweepstakes for the chance to win a $1000 gift card!